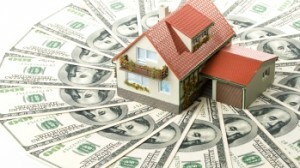 One of the major advantages of a home equity line of credit is its flexibility. A HELOC gives you the freedom to borrow only the amount you need now, flexibility in how much you pay each month and the option to borrow more later. A major disadvantage is that HELOCs have variable interest rates, which means as rates increase, you'll pay more for that loan. In a low interest rate environment, a variable interest rate might not seem like a big deal. But if you want to borrow large amounts of money or pay back a loan over a number of years, you might be concerned about future rate hikes. To get a fixed rate, you typically have to get a home equity loan, which is less flexible in that you have to borrow a lump sum all at once. But Chase and Bank of America each offer an option that lets consumers combine the best of both loans. With this option, borrowers can lock in a fixed interest rate on all or a portion of a home equity line of credit. This feature combines the flexibility of borrowing only what you currently need with the certainty of knowing exactly what the loan will cost you. You can take out a loan at a variable rate now and later convert all or part of it to a fixed rate. Or you can choose the fixed-rate option right away. Let’s say you have a $25,000 HELOC. This year, you decide to borrow $10,000 for a remodeling project. You can lock your interest rate at today’s low rates and choose a loan term that makes your monthly payments affordable. You’ll still have $15,000 left to borrow at a variable rate. Later, you can borrow all or a portion of that $15,000. By default, the rate will be variable, but you can lock that balance in for a known rate and term, too. As you pay down your locked loans, your home equity line replenishes. That doesn’t happen with a home equity loan. The downside of these fixed-rate options is that their interest rates will be higher than current variable rates, which are as cheap as we've seen all year. Expect to pay an interest rate comparable to the prevailing rate on a home equity loan, which is about 1.5% higher than you'd pay on an variable-rate loan. Fixed-rate loans are also subject to minimum borrowing amounts and minimum and maximum repayment periods.